Through its history in the game, Team Nectar has tried many different formats of competitive Team Fortress 2. We have had teams for ultiduo, sixes, highlander, and fours. But when the idea of forming a team for a different format, prolander, came up, there was some doubt. 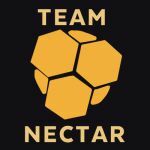 The captain of the team to come, Beersy, was not unfamiliar to Team Nectar’s TF2 scene. Before forming the team, he had played highlander, and played sixes with NTR’s amateur team. In his third season with NTR’s team, he began to talk with ppaleun, NTR’s CEO, about forming a prolander team. She was skeptical, however. But Beersy had faith that this would be a good idea, and kept advocating to have a team, eventually convincing her. When ppaleun gave the go-ahead, Beersy mainly chose people from the existing amateur team, which at the time included ppaleun herself. The team was filled with mostly people who had already played highlander a lot. The only exception to this was Meep, who instead demonstrated great skill as scout in sixes. As thus, he reprised his role for the prolander team. The other members of the team were Kaito, who has since graduated from Team Nectar, on scout; ÜberBurst on demoman; ZoomxZe on medic, and PvtDancer on sniper, with Zwölfy and the captain, Beersy, as flex. For their first season of prolander, the team played in RGL-Recreational. In the regular season, the team made a record of 3-2, earning them fifth seed into playoffs. Winning one best-of-three and losing another, the team placed fifth overall for the season. Though the team only lasted for that season, it was not a waste. It was a unique experience for those who participated, since prolander was at the time, and in fact still is, a very new format for the TF2 competitive scene. And though the roster was somewhat unstable, the team pulled through to find success for its one season. Through its history in the game, Team Nectar has tried many different formats of competitive Team Fortress 2. We have had teams for ultiduo, sixes, highlander, and fours. But when the idea of forming a team for a different format, prolander, came up, there was some doubt. The captain of the team to come, Beersy, was not unfamiliar to Team Nectar’s TF2 scene. Before forming the team, he had played highlander, and played sixes with NTR’s amateur team. In his third season with NTR’s team, he began to talk with ppaleun, NTR’s CEO, about forming a prolander team. She was skeptical, however. But Beersy had faith that this would be a good idea, and kept advocating to have a team, eventually convincing her. When ppaleun gave the go-ahead, Beersy mainly chose people from the existing amateur team, which at the time included ppaleun herself. The team was filled with mostly people who had already played highlander a lot. The only exception to this was Meep, who instead demonstrated great skill as scout in sixes. As thus, he reprised his role for the prolander team. The other members of the team were Kaito, who has since graduated from Team Nectar, on scout; ÜberBurst on demoman; ZoomxZe on medic, and PvtDancer on sniper, with Zwölfy and the captain, Beersy, as flex. For their first season of prolander, the team played in RGL-Recreational. In the regular season, the team made a record of 3-2, earning them fifth seed into playoffs. Winning one best-of-three and losing another, the team placed fifth overall for the season. Though the team only lasted for that season, it was not a waste. It was a unique experience for those who participated, since prolander was at the time, and in fact still is, a very new format for the TF2 competitive scene. And though the roster was somewhat unstable, the team pulled through to find success for its one season.